Vital Effective Character Through Observation and Reflection (VECTOR) is now Four-degree ORientation to Character Effectiveness (FORCE). 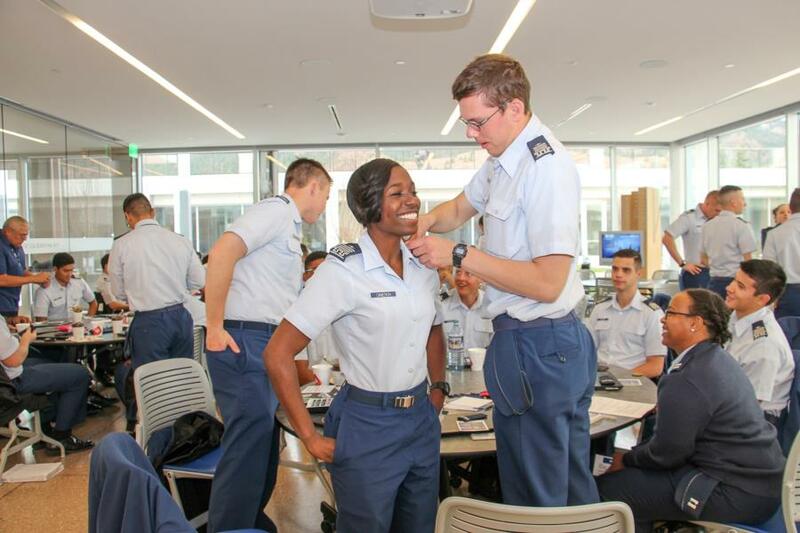 FORCE is a half day seminar that teaches the freshman class to, "focus on supporting their role as supervisees" and "introduces fourth-class cadets to the tenets of effective followership. 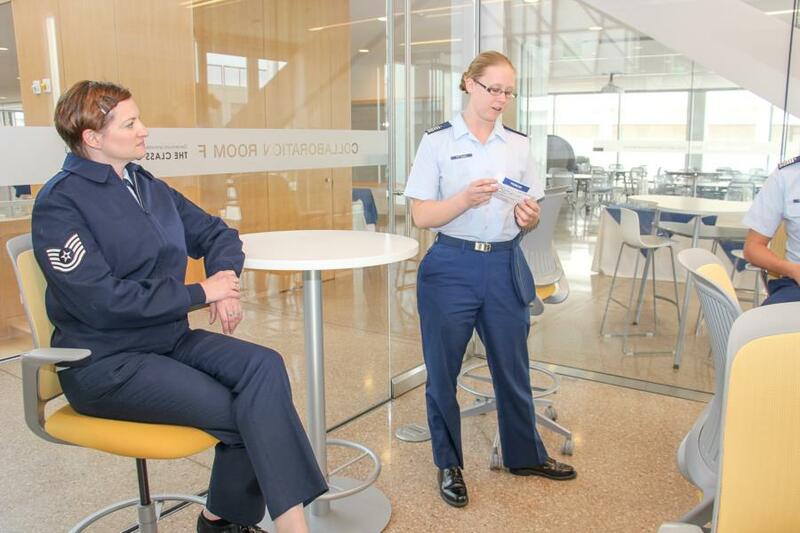 Cadets will be challenged to clarify the identity they want to pursue as a leader of character." 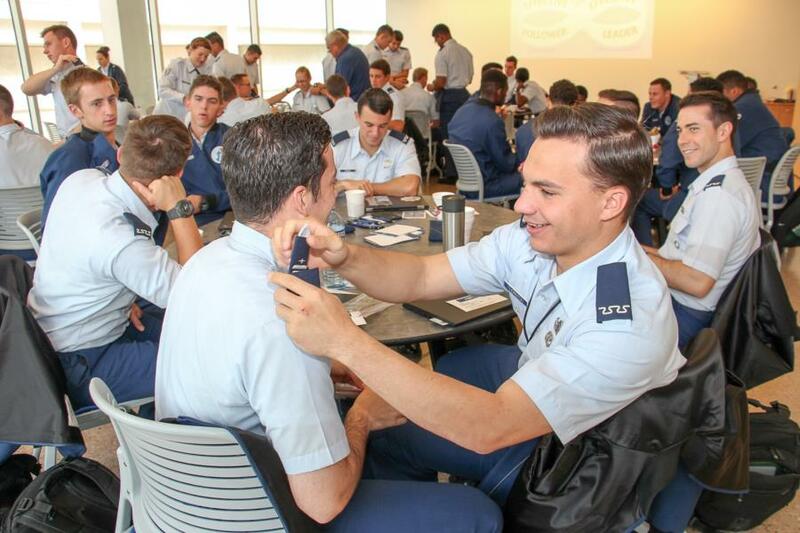 At this FORCE seminar, we caught them in the midst of trying on Firstie shoulder boards. After they put them on they had to write down where they saw themselves in 4 years and how they planned to get there. Once they were done writing, they broke off into groups and had to introduce themselves as their Firstie-self to the rest of the group. 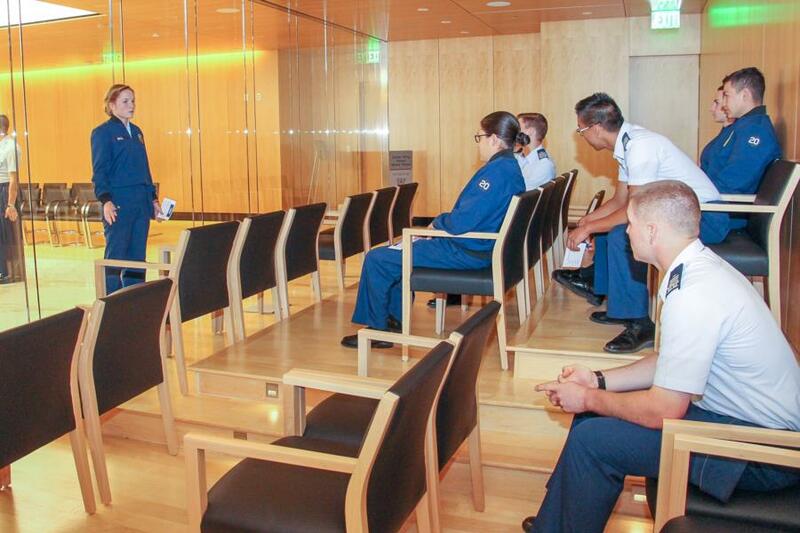 To view the rest of our glimpse into a FORCE Seminar go to; Galleries - Military Training - Character and Leadership Development. Or click the link below.